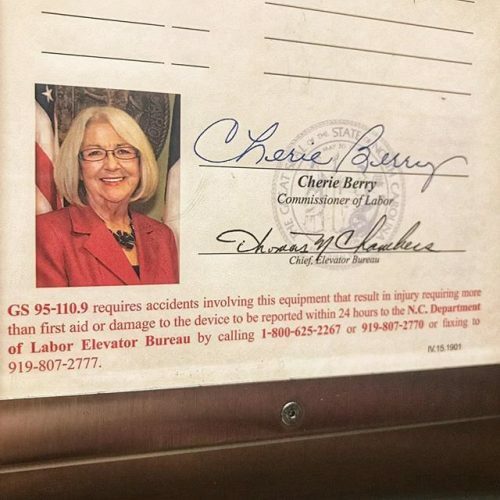 Over the last 18 years if you have been in an elevator anywhere in North Carolina it is highly likely you have seen her face, even if didn't know her name. Berry has held the Commissioner position since January 6, 2001 and is most notably known because her photo is attached to every elevator inspection form, which is visible in every elevator, in the state. 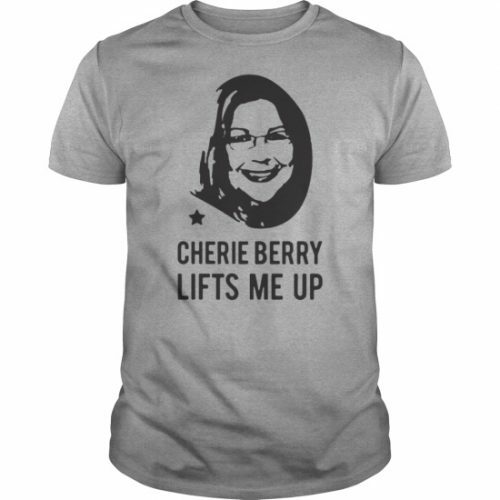 Her face has also been used on T-shirts with the slogan “Cherie Berry Lifts Me Up”. Before becoming Commissioner, she served four terms in the N.C. House of Representatives from 1993 to 2001. 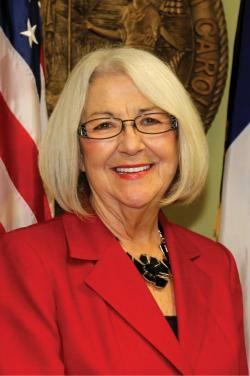 She is also the longest-serving Republican on the Council of State. Berry is a native of Catawba County and currently resides in Newton. There was a popular 70s song with the lyric “I’d rather leave while I’m in love,” and that is exactly what I am doing. I love my job but most importantly I love the people of #NC!